This page lists Frequently Asked Questions about listing a resume on the Professional Resume Bank or Undergraduate & MBA Student Resume Bank and posting positions on the Professional (PhD Student & Academician) Job Board or the Student (Undergraduate & MBA) Job Board. Note: FMA International has two resume banks: PhD Students/Academicians and Undergraduate & MBA Students. Please be sure to review the following to decide which bank best fits your needs. Who should post a resume on the Professional (PhD Students & Academicians Only) Resume Bank? This resume bank is designed for PhD Students and those seeking employment in doctorally-qualified positions, such as academia. If you are seeking a position in a traditional finance role (i.e. trading, investing, etc. ), please click here to learn more about our resume bank for entry-level practitioner (non-research) positions in finance. What information and files will I need to complete the resume listing process for the Professional (PhD Students & Academicians Only) Resume Bank? You must be a current FMA member to post a resume. You may upload a PDF to the resume submission form. To begin, click here. To become a member, please click here. If you are unsure about your current membership status, please contact us at 813.974.2084. How do I access the form to list my resume on the Professional (PhD Students & Academicians Only) Resume Bank? To access the resume listing form, you must first log into the FMA website. To begin, click here. To become a member, please click here. If you are unsure about your current membership status, please contact us at 813.974.2084. What are the fees for listing a resume on the Professional (PhD Students & Academicians Only) Resume Bank? All current FMA members may now list a two-page resume for free. Resumes longer than two pages will be charged $50 USD. To begin, click here. To become a member, please click here. If you are unsure about your current membership status, please contact us at 813.974.2084. What is the deadline for listing a resume on the Professional (PhD Students & Academicians Only) Resume Bank? Listings can be processed and posted year-round. However, the "Placement Cycle" is 1 April to 31 March. Do I need to be an FMA member in order to list my resume on the Professional (PhD Students & Academicians Only) Resume Bank? Yes, listing a resume is a member benefit. To become a member, please click here. If you are unsure about your current membership status, please contact us at 813.974.2084. Can I gain access to the positions listings without listing a resume on the Professional (PhD Students & Academicians Only) Resume Bank? Access to the positions in the job board is for FMA members only. If you are a member, click here to access the job board. To become a member, please click here. If you are unsure about your current membership status, please contact us at 813.974.2084. Does my listing include access to the Placement Center on-site at the FMA Annual Meeting? No, listing fees no longer include registration to the FMA Annual Meeting. 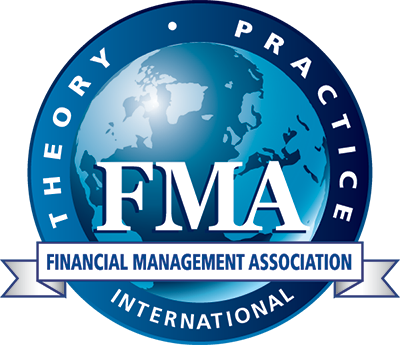 If you plan to participate in interviews at the upcoming 2019 FMA Annual Meeting in New Orleans, LA, you must register for the conference. How do I obtain access to the online Professional (PhD Student & Academician) Job Board? All FMA members have access to the online job board by logging into the FMA website. If you are a member, click here to access the job board. To become a member, please click here. If you are unsure about your current membership status, please contact us at 813.974.2084. When will my resume be posted on the Professional (PhD Students & Academicians Only) Resume Bank? Once your resume is submitted, it will be posted on the Professional Resume Bank within 5-7 days. Can I make changes to my resume once it is posted on the Professional (PhD Students & Academicians Only) Resume Bank? Yes, you may update your resume by emailing it to [email protected]. Can I cancel my listing and be issued a refund? FMA does not issue refunds for Placement Services. Who should post a resume on the Undergraduate & MBA Student Resume Bank? This resume bank is designed for those seeking a entry-level practitioner (non-research) positions in finance (i.e. trading, investing, etc.). What information and files will I need to complete the resume listing process for the Undergraduate & MBA Student Resume Bank? You must be a current FMA member to post a resume. You may upload an existing document (DOC, PDF) or build an online resume. Users maintain multiple resumes and/or career profiles in their account to use on different occasions. However, only one is public to the resume board for employers to search on a site. To begin, click here. To become a member, please click here. If you are unsure about your current membership status, please contact us at 813.974.2084. How do I access the form to list my resume on the Undergraduate & MBA Student Resume Bank? What are the fees for listing a resume on the Undergraduate & MBA Student Resume Bank? What is the deadline for listing a resume on the Undergraduate & MBA Student Resume Bank? Listings can be processed and posted year-round. Do I need to be an FMA member in order to list my resume on the Undergraduate & MBA Student Resume Bank? Can I gain access to the positions listings without listing a resume on the Undergraduate & MBA Student Resume Bank? No, listing fees no longer include registration to the FMA Annual Meeting. If you plan to participate in interviews at the upcoming 2019 FMA Annual Meeting in New Orleans, LA, you must register for the conference. Note: Most interviews at the Annual Meeting are academic-centric positions. How do I obtain access to the online job board for Undergraduate & MBA Students? When will my resume be posted on the Undergraduate & MBA Student Resume Bank? Once your resume is submitted, it should be posted on the online resume bank immediately. You may upload an existing document (DOC, PDF) or build an online resume. Users maintain multiple resumes and/or career profiles in their account to use on different occasions. However, only one is public to the resume bank for employers to search on a site. Can I make changes to my resume once it is posted on the Undergraduate & MBA Student Resume Bank? Yes, you may make changes to your resume at any time. Users maintain multiple resumes and/or career profiles in their "Job Seeker" account to use on different occasions. However, only one is public on the resume bank for employers to search on a site. All resumes are anonymous to the employers. In order for employers to receive contact information, they must submit a contact request. Note: FMA International has two job boards: PhD Students/Academicians and Undergraduate & MBA Students. Please be sure to review the following to decide which board best fits your needs. This board is designed for those seeking jobs and candidates for doctorally-qualified positions in finance. What are the fees for listing a position announcement on the Professional (PhD Student & Academician) Board? Click here to view the pricing for listing a position on the Professional (PhD Student & Academician) Board. How do I submit a position on the Professional (PhD Student & Academician) Board? To submit a position on the Professional (PhD Student & Academician) Board, an employer must create an "Employer Account" on this page. Once your account has been created, you may list positions and manage your listing. Within 5-7 days of posting a position to the Professional (PhD Student & Academician) Board, you will receive an email from FMA with instructions on how to access the Professional (PhD Student & Academician) Resume Bank on the FMA website. What information and files will I need to complete the position listing process for the the Professional (PhD Student & Academician) Board? Prior to beginning the listing process, please create an “Employer Account” on the Professional (PhD Student & Academician) Job Board. Once logged into your account, select “Post a Job.” You will then be prompted to select a product to purchase (i.e. one listing). You will then be redirected to an online form where you will need to enter the position title, salary, job duration, location, position description, and contact information. Please note PDF listings are no longer accepted. What is the deadline for listing a position on the the Professional (PhD Student & Academician) Board? Can I fax my listing? No, all listings must be submitted online. Do I need to be an FMA member in order to list an available position on the the Professional (PhD Student & Academician) Board? How do I obtain to access the Professional (PhD Student & Academician) Resume Bank? Within 5-7 days of posting a position to the Professional (PhD Student & Academician) Job Board, you will receive an email from FMA with instructions on how to access the Professional (PhD Student & Academician) Resume Bank on the FMA website. Can I share the username and password? The username and password you create for your “Employer Account” on the Professional (PhD Student & Academician) Job Board should not be shared with others. However, you may “Add New Colleagues”, who are other employers and recruiters to your account so you can either grant permission to post jobs on your behalf or request permission to post jobs on their behalf. When will my listing be posted on the the Professional (PhD Student & Academician) Board? Once your position and payment is submitted, it should be posted on the online job board immediately. Users maintain multiple positions in the “My Jobs” tab of the “Employer Account” on the Professional (PhD Student & Academician) Job Board. Can I gain access to the resumes without listing a position on the Professional (PhD Student & Academician) Board? Access to the Professional (PhD Student & Academician) Resume Bank is reserved for current position listers and active FMA members. Position listers will receive an email from FMA with instructions on how to access the Professional (PhD Student & Academician) Resume Bank on the FMA website within 5-7 days of listing a position on the Professional (PhD Student & Academician) Job Board. No, listing fees no longer include registration to the FMA Annual Meeting. If you plan to interview candidates at the upcoming 2019 FMA Annual Meeting in New Orleans, LA, you must register each representative. The onsite Placement Center provides tables for interviewers to meet with candidates. Availability of the tables is on a first-come first-serve basis. Can I make changes to my position listing on the Professional (PhD Student & Academician) Board once it is posted? Yes, users maintain multiple positions in the “My Jobs” tab of the “Employer Account” on the Professional (PhD Student & Academician) Job Board. How do I remove my listing once the position is filled? First, access your "Employer Account" on the FMA Professional Career site by clicking here and logging in. From your Employer Account, you can post new positions, view or edit your current listing, or view invoices. Once logged into your "Employer Account," click the "My Jobs" tab on top gray navigation bar. Select the job you would like to remove and click "Stop" or "Delete." Stopping a job: Stopping a job will simply hide it from the job seekers, but will not delete it from your account. Stopped jobs are still active – they have not reached their end or expiration date. You can easily activate a stopped job by clicking the checkbox next to a job and then clicking the activate button. Deleting a job: When you select a job to be deleted it will be removed from your account completely. This board is designed for those seeking jobs and candidates for entry-level practitioner (non-research) positions in finance. What are the fees for listing a position on the Student (Undergraduate & MBA) Job Board? Click here to view the pricing for listing a position on the Student (Undergraduate & MBA) Job Board. How do I submit a position on the Student (Undergraduate & MBA) Job Board? To submit a position on the on the Student (Undergraduate & MBA) Job Board, an employer must create an "Employer Account" on this page. Once your account has been created, you may list positions, manage your listing and access the resume bank of undergraduate and MBA students seeking employment. What information and files will I need to complete the position listing process for the Student (Undergraduate & MBA) Job Board? Prior to beginning the listing process, please create an “Employer Account” on the Student (Undergraduate & MBA) Job Board. Once logged into your account, select “Post a Job.” You will then be prompted to select a product to purchase (i.e. one listing). You will then be redirected to an online form where you will need to enter the position title, salary, job duration, location, position description, and contact information. Please note PDF listings are no longer accepted. What is the deadline for listing a position on the Student (Undergraduate & MBA) Job Board? Can I fax my listing for the Student (Undergraduate & MBA) Job Board? Do I need to be an FMA member in order to list an available position on the Student (Undergraduate & MBA) Job Board? How do I obtain to access the resume bank on the Student (Undergraduate & MBA) Job Board? The resume bank on the on the Student (Undergraduate & MBA) Job Board can be accessed by logging into your "Employer Account" on this page. One of the best benefits of the Job Board is your ability to go through an unlimited number of resumes, while only paying a resume purchase price after you successfully establish contact with a job seeker. Browse and review resumes, then send the job seeker a message to inform him or her that you’re interested. No charges are made unless that job seeker accepts your contact request for further discussion. If interest in your position or company is declined, you’re never charged. The username and password you create for your “Employer Account” on the Student (Undergraduate & MBA) Job Board should not be shared with others. However, you may “Add New Colleagues”, who are other employers and recruiters to your account so you can either grant permission to post jobs on your behalf or request permission to post jobs on their behalf. When will my listing be posted on the Student (Undergraduate & MBA) Job Board? Once your position and payment is submitted, it should be posted on the online job board immediately. Users maintain multiple positions in the “My Jobs” tab of the “Employer Account” on the Student (Undergraduate & MBA) Job Board. Can I gain access to the Student (Undergraduate & MBA) resumes without listing a position? Yes, the resume bank on the on the Student (Undergraduate & MBA) Job Board can be accessed by logging into your "Employer Account" on this page. One of the best benefits of the Job Board is your ability to go through an unlimited number of resumes, while only paying a resume purchase price after you successfully establish contact with a job seeker. Browse and review resumes, then send the job seeker a message to inform him or her that you’re interested. No charges are made unless that job seeker accepts your contact request for further discussion. If interest in your position or company is declined, you’re never charged. Can I make changes to my position listing on the Student (Undergraduate & MBA) Job Board once it is posted? Yes, users maintain multiple positions in the “My Jobs” tab of the “Employer Account” on the Student (Undergraduate & MBA) Job Board. Please contact FMA at [email protected] or 813.974.2084. For questions specific to your listing or your "Job Seeker Account" or "Employer Account," please contact an Employer & Job Seeker Specialist at 727.497.6565 or [email protected].